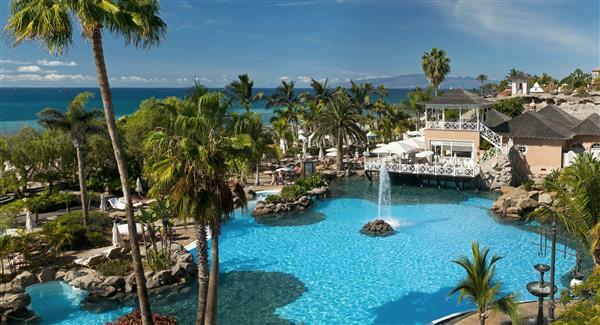 Bahia del Duque Resort is a luxury hotel in Adeje Tenerife. 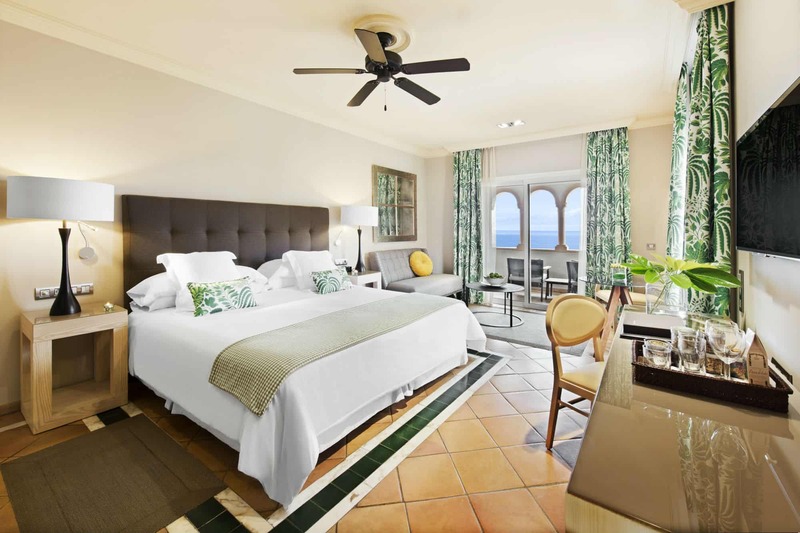 This perfect destination for holidaymakers, overlooks the Duque Beach in Tenerife and around it is six hectares of subtropical gardens. 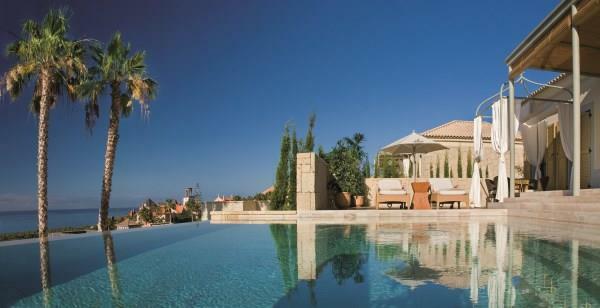 The 5-star Bahia del Duque has 5 outdoor pools, stylish and exquisite balconies, and a fitness center. Teide National Park and La Gomera, are within reach. At the Bahia del Duque complex are 8 amazing restaurants, with different serving options, including Oriental and Italian. Siam Water Park and Adeje Golf Course are close-by, it will take under 6 minutes, to get to both locations. 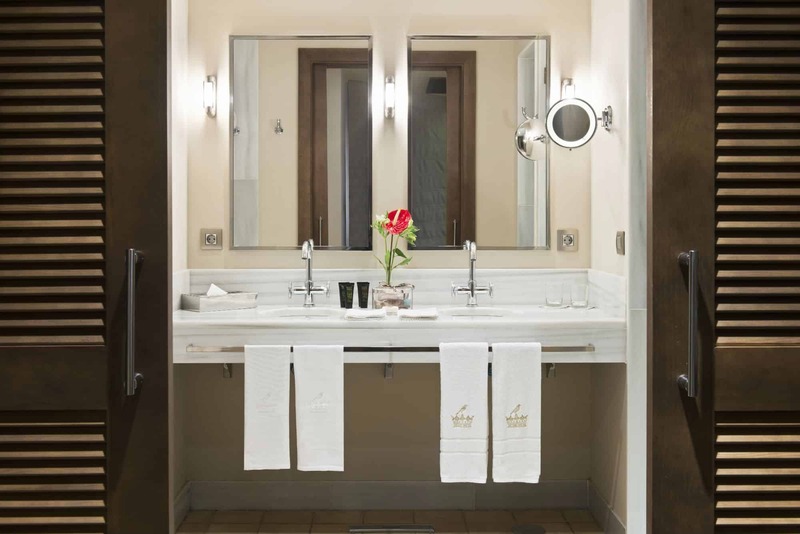 Hotels at the Babhia Del Duque are fitted with LCD TVs and bathrobes, in addition to other top-notch essentials. There are options to choose from chic villas, to modern rooms. There are about 346 rooms and 40 villas in Bahia del Duque. 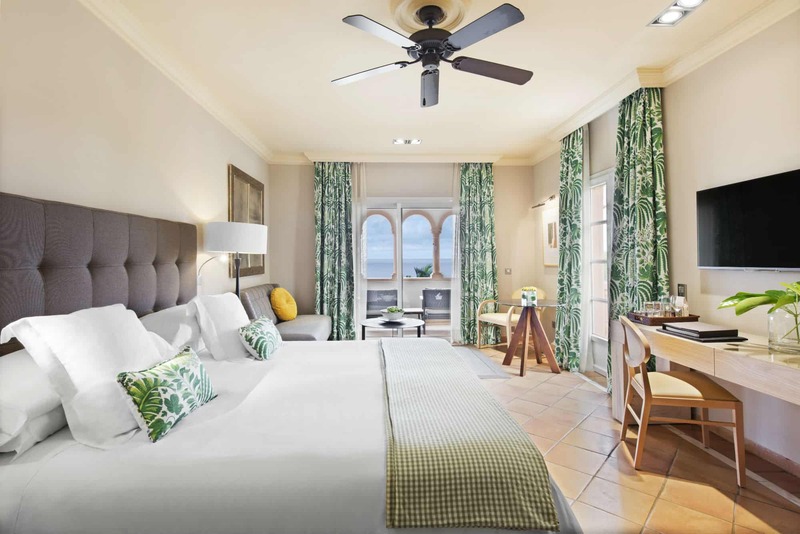 With the look of a fairytale village, it’s obvious that the structure of the Bahia del Duque is inspired by 19th century Canarian architecture. Bahia del Duque has many different leisure activities for adults and children, they include the kids clubs for children, scuba diving, windsurfing; and there are tennis courts, paddle or squash courts, ping pong, giant chess, and three fresh water and salt water pools. 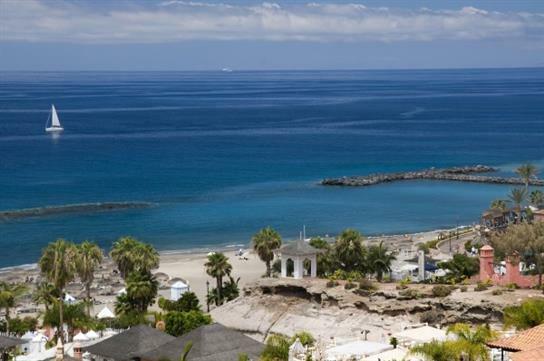 Tenerife does not have harsh weather conditions, the warm temperature and long sunny days, makes it perfect to explore the amazing landscapes and beaches in the area, and of course the stand-out beauty of Bahia del Duque. People looking for some pampering or extra care, to keep their body and mind relaxed can visit the award winning Spa Bahia del Duque. This spa prides itself in effective thalassotherapy treatments and offers its services outdoors. 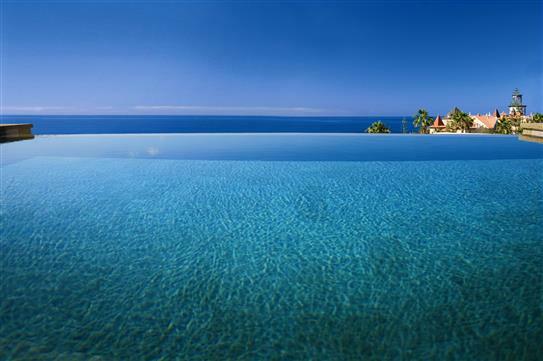 Bahia del Duque has received a couple of awards, for its all-round excellence, they are: Best Service in Europe from Condé Nast Johansens (2019), Best Spa in Spain from Condé Nast Traveler (April 2014), Luxury Villa Resort from World Luxury Hotel Awards (December 2014), Best Destination Hotel from Condé Nast Johansens (November 2013), and Best Spa – Best of the Best Awards, from Virtuoso (August 2011). 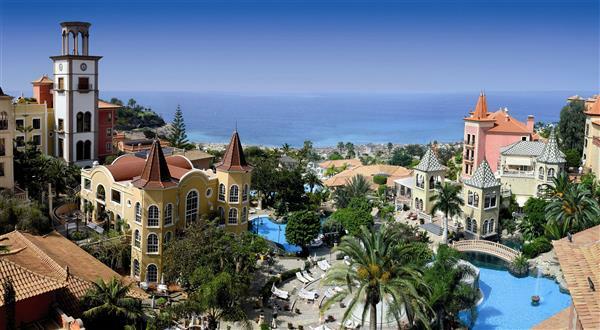 Bahia del Duque also recently received two awards (Holly and Top Quality), from the German tour operator, TUI. TUI recognizes the best holiday hotels in the world and has been doing so since 1994.It has become a standard for quality globally. TUI Holly prize recognizes management success in the aspects of providing firs-class service, attention to details, and extraordinary offers. And the TUI Top Quality prize, which is given to hotels that score a minimum of 8.7/10 in TUI’s customer satisfaction survey. These awards re-emphasize the fact that Bahia del Duque is one of the few, best places on earth to experience the best of the best. 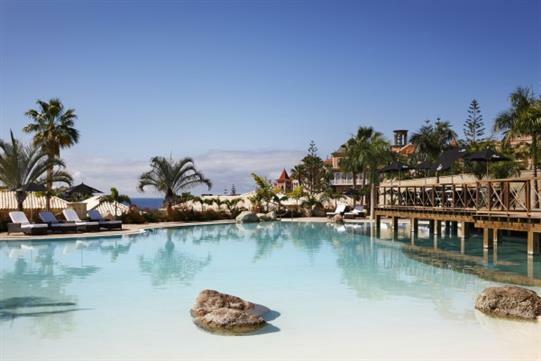 The Bahia Del Duque Hotel is located in Adeje, Tenerife – 20 mins from Tenerife South airport.